Imagine a region in Italy where people are so eco-conscious and love nature that they've built houses for insects. Hard to picture, given Italians aren't the greenest of citizens. Yet there's a pristine Alpine land at the border with Austria that stands out as an exception. And not just because locals speak a weird German dialect, rather than Italian, and eat Strudel and potato Caneoderli dumplings. Alto Adige, otherwise known as Sud Tyrol in its teutonic variant, is Italy's greenest region. Most towns use alternative clean energy and have built cycling routes. Families walk and exercise each day to stay healthy, or go skiing on the snowy peaks. But what hit me the most was discovering just how much they pay attention to the environment, which goes as far as taking care of insects. I never thought such a thing as a hotel insect existed as I had never seen one in any other Italian region, so for me it was equal to making a groundbreaking discovery. 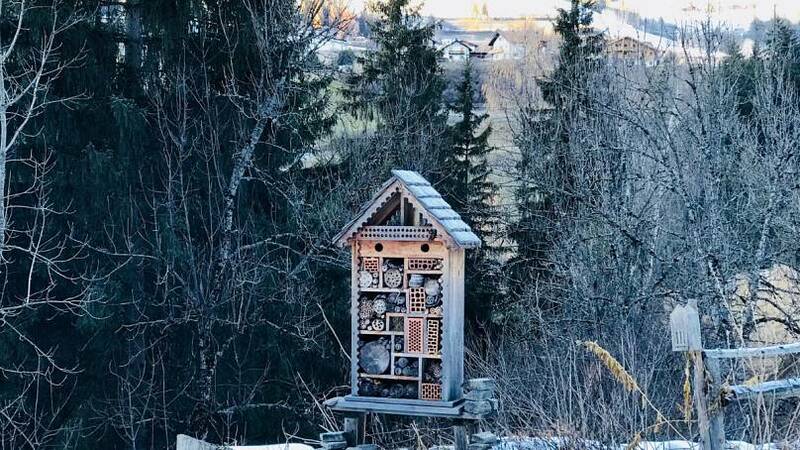 Yup, Alto Adige is the only place in Italy where you'll find 'insect hotels' at every street corner, park and garden. Even in front of uninhabited stunning medieval castles and colourful chapels that dot the green plains and pristine, oxygen-rich valleys or along frozen lakes where Dolomite peaks jut-out of the bluish ice. So I dived into the insect culture. These hotels are wooden boxes hung on trees or on ground poles that look like miniature doll houses or cuckoo watches with rectangular holes (the rooms!) filled with hay, herbs and seeds to give shelter and feed bees, wasps, butterflies, moths and the like, even mosquitos, giving them a safe haven during cold winters and sultry summers for reproduction ends. I think it's sweet and kind of funny: I can just imagine a butterfly checking-in for the night or a bee flying-away early in the morning to get back to its hive. Residents are damn serious about this. "Insects are vital to nature's eco-system and balance, if insects are looked after and reproduce, then even flowers and other animals that feed off them will be healthy. It's the food chain, which starts from a simple ant. Just because they’re tiny almost invisible animals doesn’t mean we should neglect their wellbeing", explains a tourist guide as I look at her flabbergasted. She's probably more puzzled than me, curious why instead of admiring the frescoed mountain chalets and cobbled streets I should dwell on an insect hotel. I just can’t avoid thinking of how most people would rather crush a mosquito than offer it a manmade refuge. Locals keep insect hotels in their backyard. 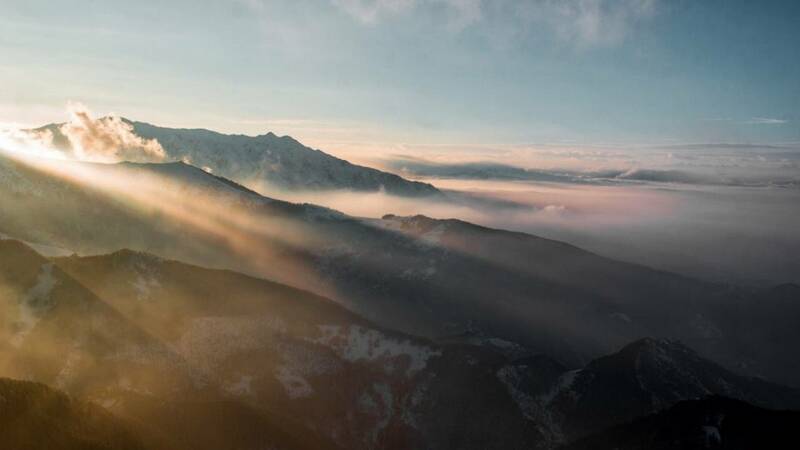 Their homes are deeply bonded to the Alpine surroundings. The Masi are typical family-run dairy farms where guests are treated to homemade milk, butter, yogurt, jams and Speck seasoned in stables. Cows are kept right next door. The milk is unique, sweet rather than sour, thanks to the healthy green grass of the Alps. You can spend the night in simple, no-frills wooden rooms where silence rules. Many 1600’s farms have been elegantly restyled and turned into secluded forest luxury chalets for unplugged, detox breaks where you’re cradled by the sounds of nature. Guests kill time building insect hotels, savouring locally-grown herbal tisane concoctions and drinking the fresh running water from the garden stream, which is also used as a natural open-air spa great for Kneip leg circulation treatments (that is, if you survive the frostbite!). Barns and stables have been turned into exclusive suites made of natural pine wood and powered by solar energy. You can rent a whole chalet for private celebrations. Tavern lodges also offer healthy stays and serve élite Alpine food including deer tartare, while in panoramic wine estates suspended above declining terraced vineyards all work is done by hand, no machines involved. Culinary traditions heavily rely on what the landscape offers. Cheese refiners, instead of seasoning their blue gorgonzola forms covered in hay and prairie flowers in modern high-tech buildings using electricity, have found a secret hiding place inside second world war bunkers buried deep in the forest and covered in vegetation, where humidity levels are ideal. Talking about smart natural fridges.